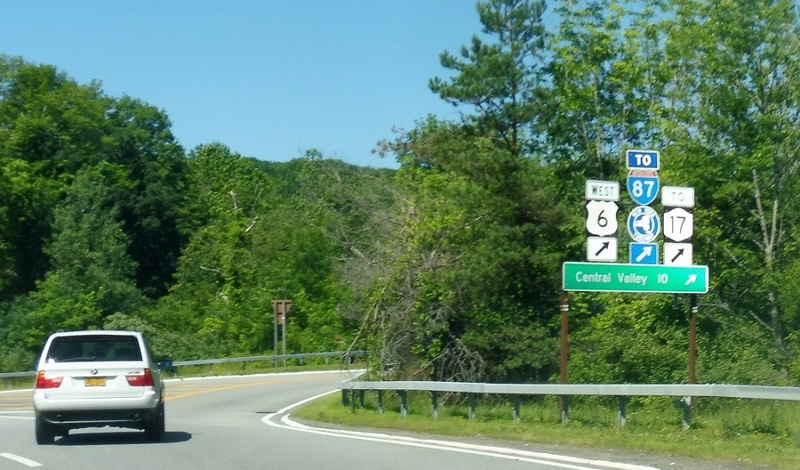 Just as Seven Lakes Drive joins the concurrency, exit for 6/Seven Lakes towards the Thruway and the Southern Tier. 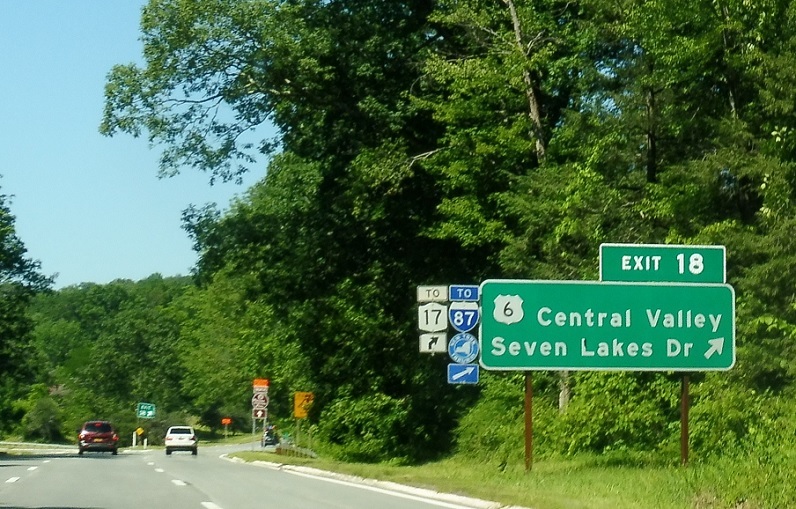 At this exit, US 6 and the Seven Lakes split to head their opposite ways. 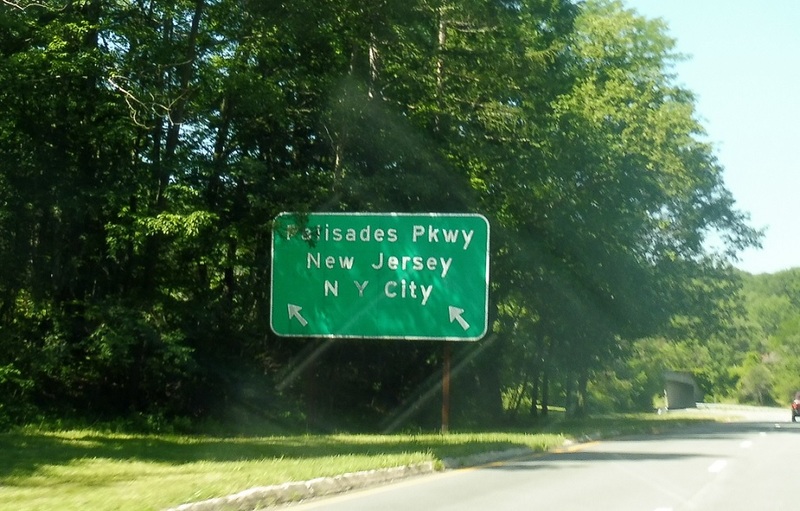 Exit left for the southbound Palisades. Reassurance shield after the exit. The Seven Lakes split is coming up, but this is really one big interchange. 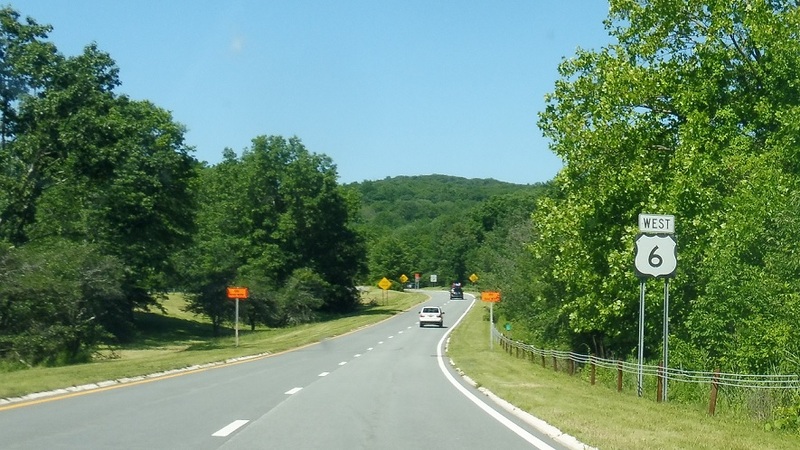 Keep right to follow 6 to I-87 and NY 17. Keep left to stay on Seven Lakes Drive.